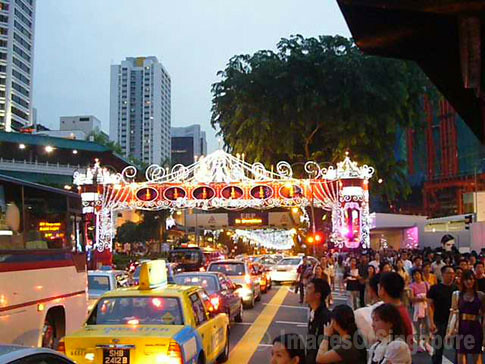 A typical street scence at Orchard Road during Christmas (2007). Look at the number of pedestrians on the right! I like this shot as the ERP gantry was just after the Christmas decoration gantry. View of Marriott Hotel from a distance during the Christmas period in 2007. The Marriott Hotel was previously known as Dynasty Hotel which I preferred and think sounds better. 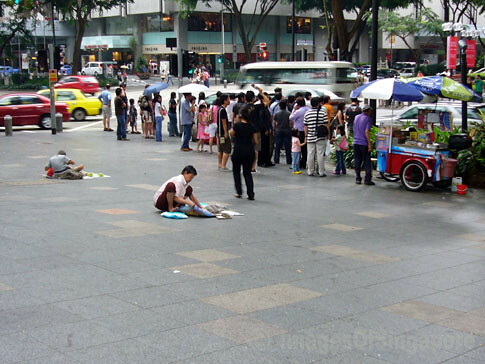 Some of the make shift stalls at Orchard Road. Packing up due to the rain. 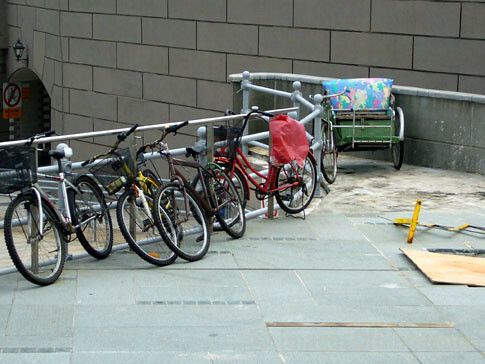 Look what’s the King of Bicycles – the Trishaw! Found this near the Coleman Bridge. 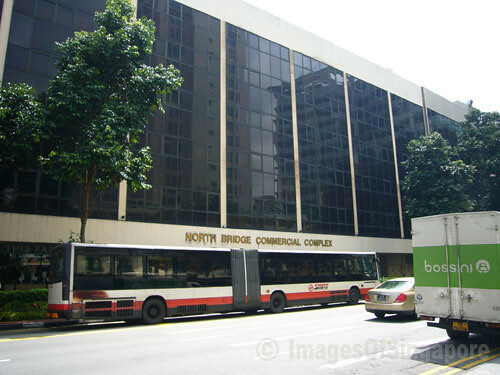 This North Bridge Commercial Complex located at North Bridge Rd has been around for many years. You can even see the SMRT articulated bus in front of the building. My child used to call it “bandage bus”. 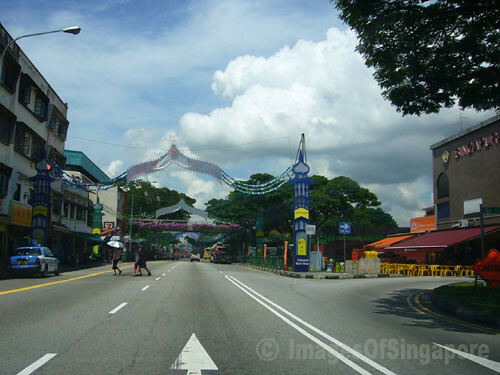 Part of the Changi Road is decorated for the Hari Raya. 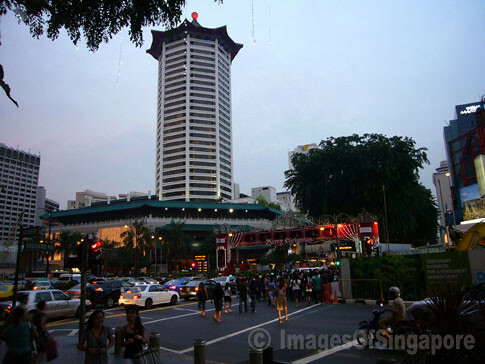 On the right you can still see that old cinema Singapura Theatre. Guess it will be torn down one of these days. 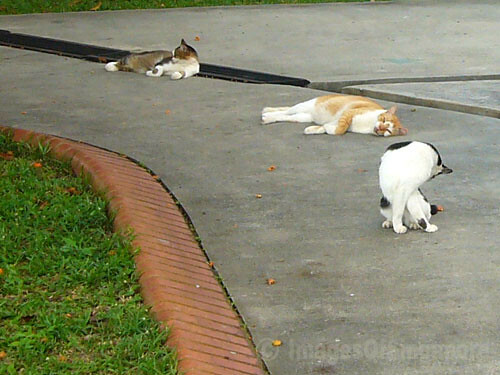 The area here at Dakato Crescent is so serene that even the cats are lazing around.